The protect and bronze range is all about ensuring that your skin is well protected whilst you tan. The range uses a highly effective system of UVA and UVB filters, and they start working as soon as you apply the products to the skin - so no more having to apply your SPF half an hour before you want to go outside! Despite the 'bronze' in the name, none of the products have any self-tan in, but they contain pro melanin which assists the skin's natural ability to tan. These are the protect and bronze tan activating sun spray and protect and bronze tan activating protecting oil, both in SPF20, but I you can also get these in SPF10 for the spray and SPF30 for the spray and the oil. I usually buy a mixture of factors for my holidays, between 10 and 30. My boyfriend burns a lot easier than me, so he'll usually use a factor 30 and then move on to 20, whereas I usually start with 20 and move to 10 - no real science behind it, that's just what we tend to do and what seems to work for us. 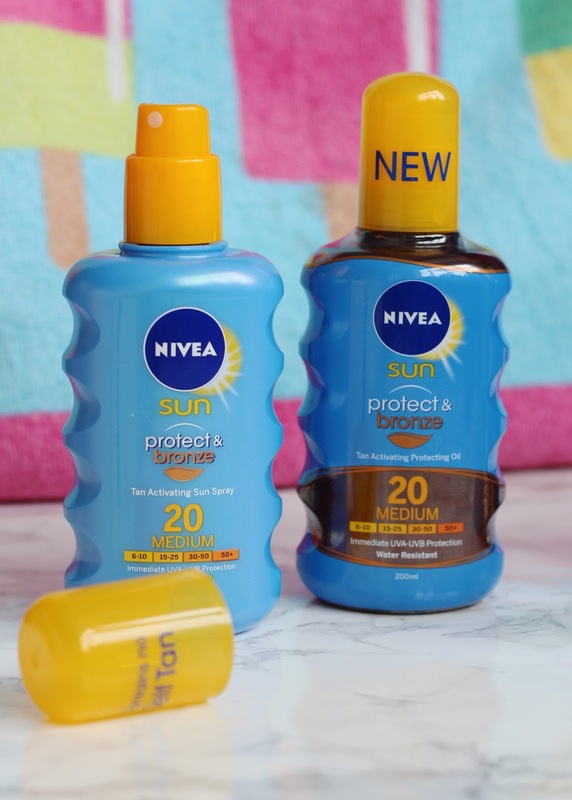 Both versions of the sun spray are great because they're very easy and convenient to use in a spray form, so they're simply to apply and re-apply. They're also water resistant, which is something I always look for when I'm buying sun protection, as you don't want your sun cream to immediately wash off when you take a quick dip in the pool. I'd not tried the oil before, and my main summer holiday to Florida isn't until September, so I gave it a little go in the back garden on a sunny afternoon. It feels lovely and moisturising on the skin, and didn't leave me feeling greasy, which I was concerned about. I'm not sure why but I feel like I'd really enjoy using the oil spray more on a beach holiday, it just seems to fit with the whole sea and sand vibe - it smells great too. I also have the protect and bronze tan activating lotion and protect and bronze face cream in SPF30. Personally I prefer a spray to a lotion, but a lotion can come in handy if you're on a super windy beach and you're spraying the people next to you more than yourself! Also you can target and give extra coverage to any sensitive areas where you might easily burn, such as your shoulders maybe. The lotion absorbs really easily into the skin and is very lightweight, I just find it quicker and easier to use a spray. I actually really like the sun cream sprays you can get in an aerosol can, as they apply like a cool mist to the skin and you hardly even need to rub them in, but I've found they don't last half as long as a normal spray - probably because you lose a lot of product in the air - so it can work out very expensive to use those on a long holiday! I've already got quite a lot of use from the SPF30 face cream, as protecting my face from the sun is always a high priority for me, even if I'm just out and about and not even actually meaning to lay out and get a tan. As well as the obvious skin cancer risks that we're all aware of these days, getting too much sun on your face causes premature ageing. I think I have years of beach holidays to thank for the deep lines of my forehead, so nowadays I always make sure my skin is protected. I've been lending this to my boyfriend too and encouraging him to use it. He's always doing gardening and odd jobs outside and totally forgets that he might burn and comes in looking a bit like a lobster, so I've been handing him this to apply before he goes outside. The formula is non-greasy and doesn't block pores, so I'm happy to use this on my face without the fear of breakouts. I'd use this alone if I wasn't wearing any makeup and was just out in the garden or on holiday by the pool or beach, but for make-up days I'd use my normal moisturiser containing an SPF, as this is a little more heavy duty, and I imagine my makeup would eventually slip off! 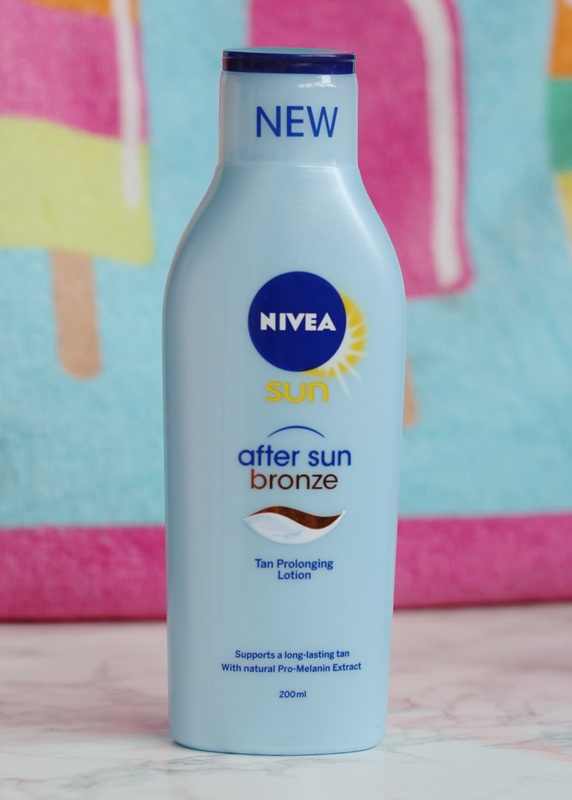 Lastly I also have the after sun bronze tan prolonging lotion. 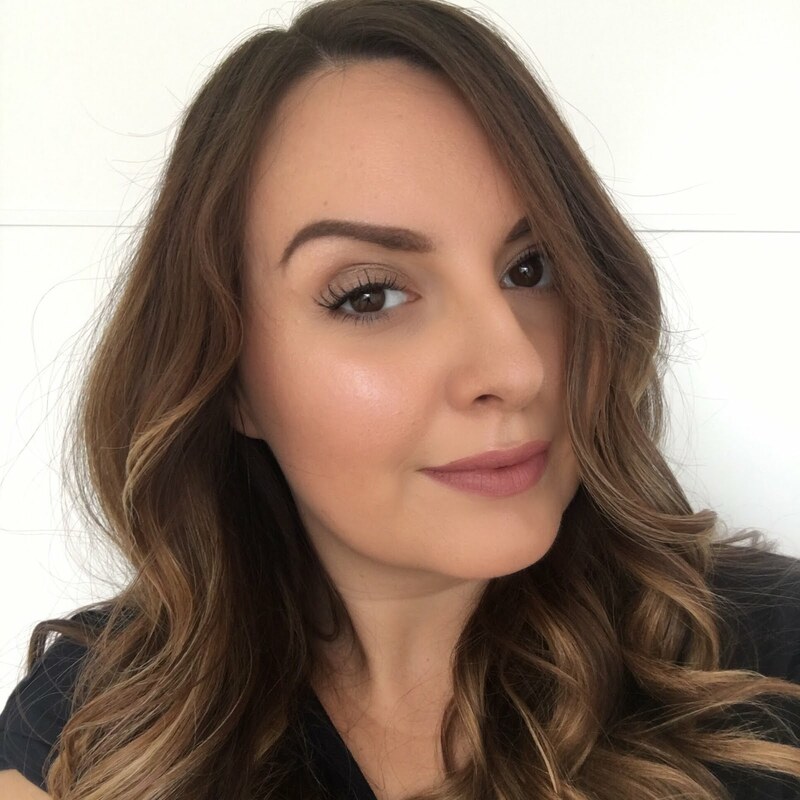 I love using after sun products on holiday - although I'm usually quite lazy with body moisturising, it's a step I never skin on holiday because your skin really needs re-hydrating after being out in the sun all day. I like to keep my after sun in the fridge, so it feels like an amazing cooling treat when you put it on hot skin. This one has a lovely fresh scent, and a light formula which is easy to rub in to the skin. It's formulated to prolong your tan just like the sun protection products in the range, as it also contains pro melanin, and it aims to prevent your skin from peeling and flaking, which is common if you've had a bit too much sun! 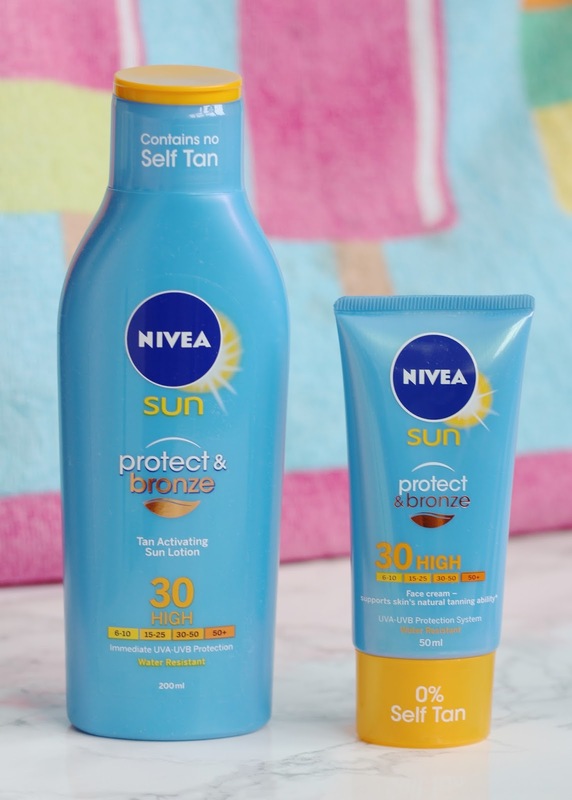 The Nivea protect and bronze range is available at Boots priced from £5 - £8.50 and it's currently on offer at two for £13. Are you off on a sunny holiday this summer? Nivea always supplies great quality of products to us. This sun protecting products will must help people to protect their skin from cancer causing UV rays of sun. Proper clothing is another fruitful way of skin protection from burning. From http://www.avana-collection.com/collections/avana-sun-sun-protection-clothing anyone can easily choose his fashionable sun protecting cloth.